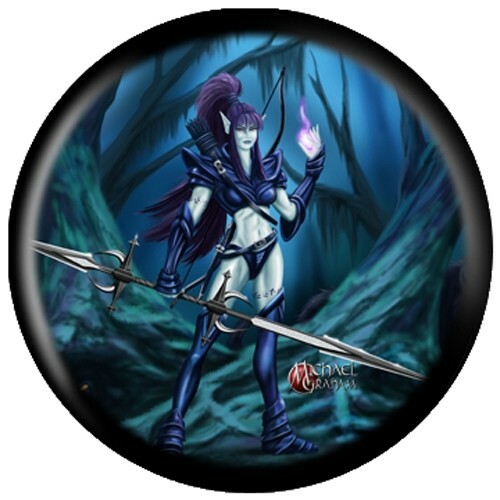 Don't miss out on this cool and detailed Dark Elf design done by artist Michael Graham! Take this ball design to the alley and crush those pins! Due to the time it takes to produce the OnTheBallBowling Michael Graham Design Dark Elf ball it will ship in 1-2 weeks. We cannot ship this ball outside the United States.